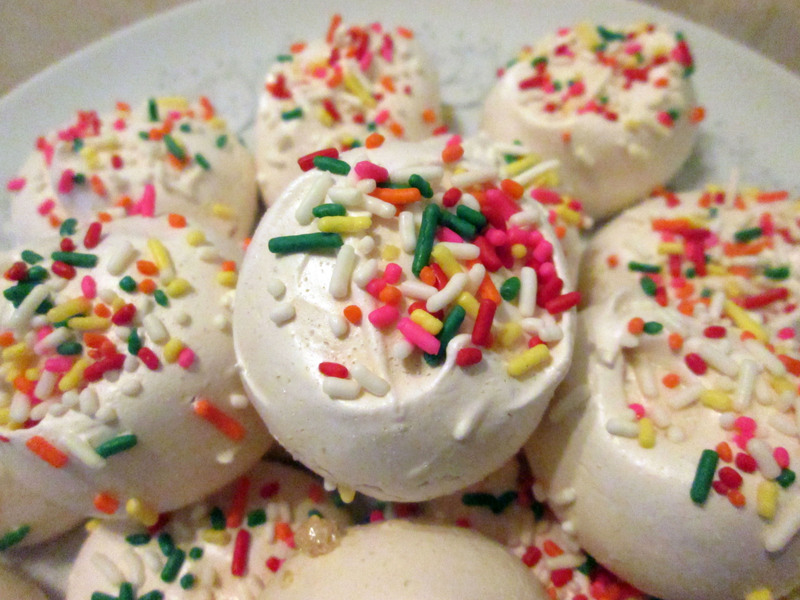 Meringues have always been one of my favorite mystery kitchen experiments. I never really understood how or what was required to make these yummy things, or how simple it actually is. My first tastes of meringue were courtesy of traditional Dominican desserts. Our birthday cakes are covered in meringue frosting, similar to seven minute icing. It is soft, fluffy, super sweet and resembles marshmallow fluff. When the cake is left out for a couple hours, the frosting begins to harden and form a bit of a crunchy shell. The longer it sat out, the crunchier it’d get. 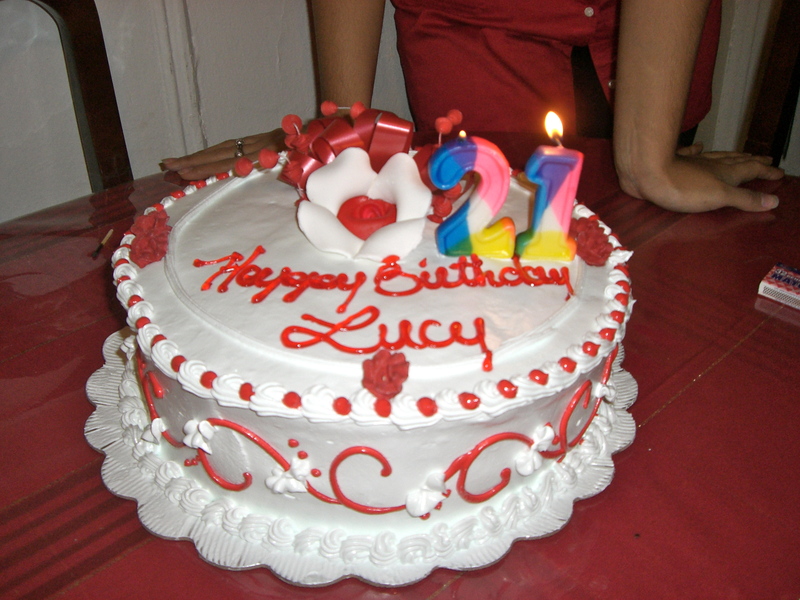 The thick layer of frosting helps preserve the cake layers underneath; keeping the cake relatively moist. 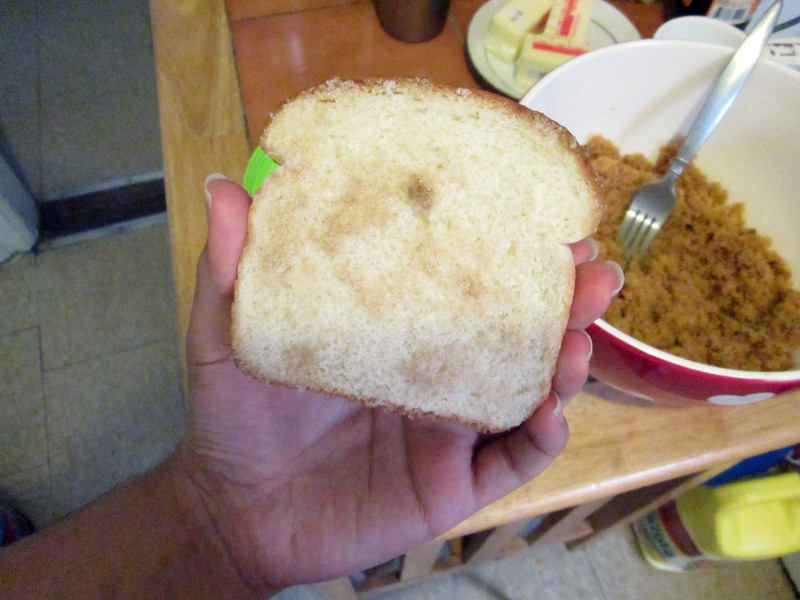 As an adult, it’s still my favorite part of Dominican cakes. Sometimes, I collect my parents’ and sister’s leftover frosting off their pieces of cake and refrigerate it for a couple days so some of it would harden; giving me a mix of soft, fluffy frosting with tons of crunchy bits. 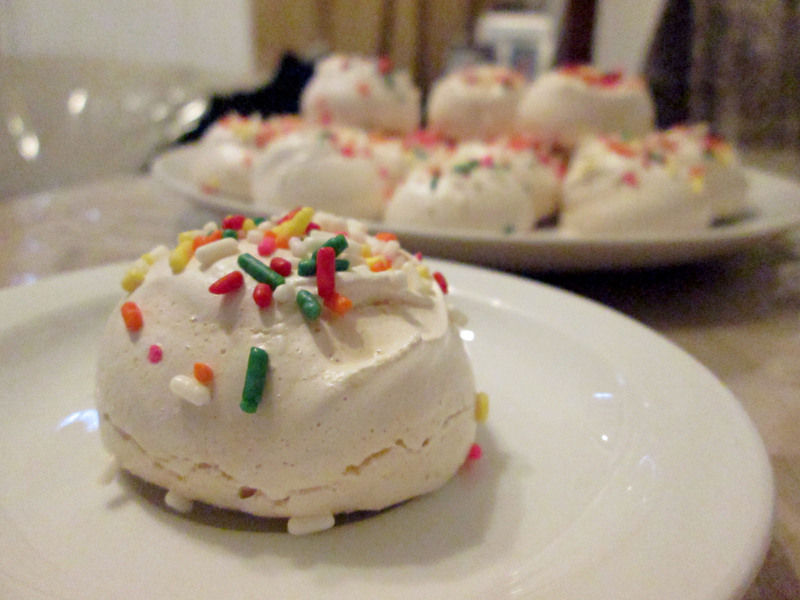 These days, the only way I can get my meringue fix is if I make them myself. This was definitely a kitchen experiment to me. 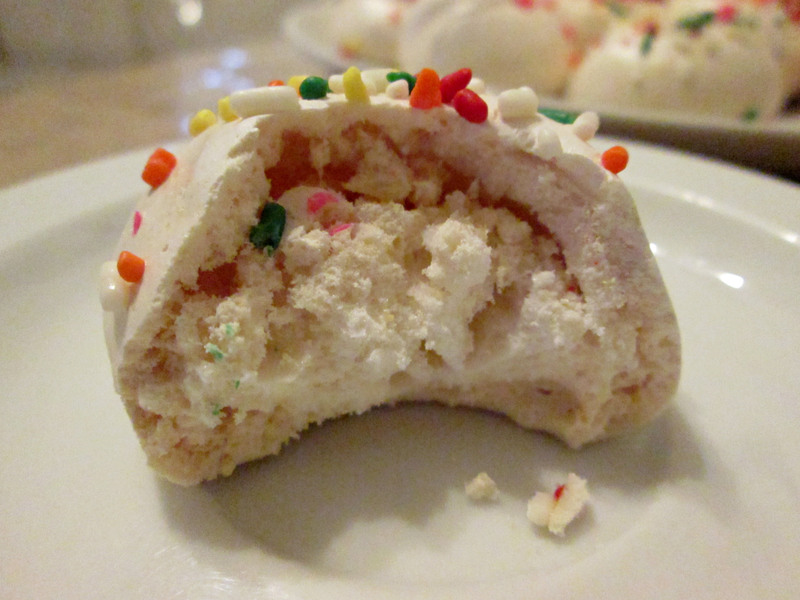 I’ve played around with meringue several times before but never made the actual meringue cookie. For this batch, I used Food52’s non-recipe to make my meringues. I had one egg white sitting around my fridge that needed to be made into something. This non-recipe uses ratios to figure out how much of each ingredient is needed to make consistent meringue cookies, depending on how many whites you have. My amounts were: 1/4 cup of egg whites (from two whites): 1/2 cup sugar: 1/8 tsp cream of tartar. Sounds simple and straightforward, right? Well, the difficulties (if any) lie in the method. 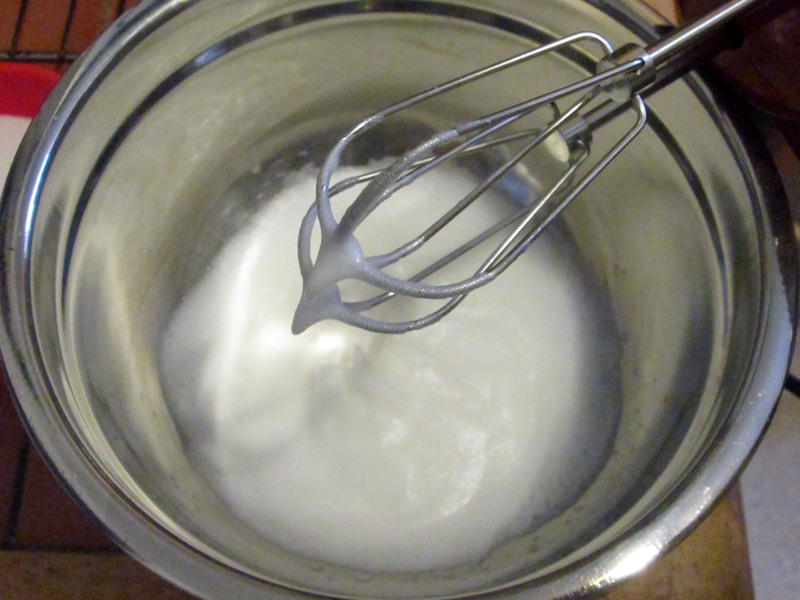 The egg whites must be room temperature before whipping to soft peaks. Before you even do that, you have to make sure your bowl and beaters are completely grease free. Feeling skeptical? Wipe your tools down with a small amount of lemon juice before whipping. Before beginning, preheat your oven to 225F, and arrange your oven racks in either the lower and upper thirds of the oven or place one rack in the center. Low temperatures are crucial for meringues; don’t try to hike it up so they’ll be done quicker. Your patience will be rewarded. Pour your whites in your grease free bowl with the cream of tartar and whip away with your beaters. You’ll notice how bubbly the mixture gets as you whip. For this method, the whites need to be whipped to soft peaks. What does this mean? A soft peak means that when held up, the whites can’t hold the peak. Turn off your beaters and dip them straight down into the bowl. Lift them up and turn the beaters over. The egg whites on the tip of the beaters should be soft, airy, and begin to lose their form the longer you have the beaters facing up. At this stage, we’re ready to gradually add the sugar. Start by adding in the sugar, while beating, by the tablespoon. Incorporate the sugar for about 10 seconds before adding another tablespoon. Keep going until all the sugar is completely incorporated. Turn your beaters on high and beat the whites into submission. The whites will have turned into meringue, thanks to the addition of the sugar. You’ll notice the mixture is now glossy, thick and slightly heavy. Continue beating until you have stiff peaks; meaning the meringue holds the peak when held up. After you’ve reached this point, add your flavorings. 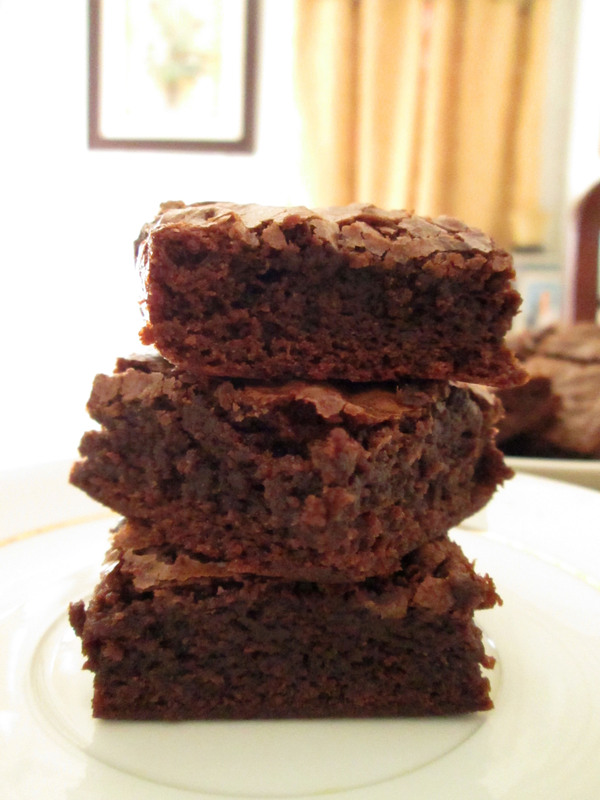 I added about 1/2 teaspoon of vanilla extract to this batch but the sky’s the limit. You can add zest to make lemon, lime, or orange meringues. Mint, almond, or coconut extracts to make flavored meringues. You can also add melted semisweet chocolate to make chocolate meringues! The options are endless. Now that you have your meringue, it’s time to portion them out on a lined baking sheet. 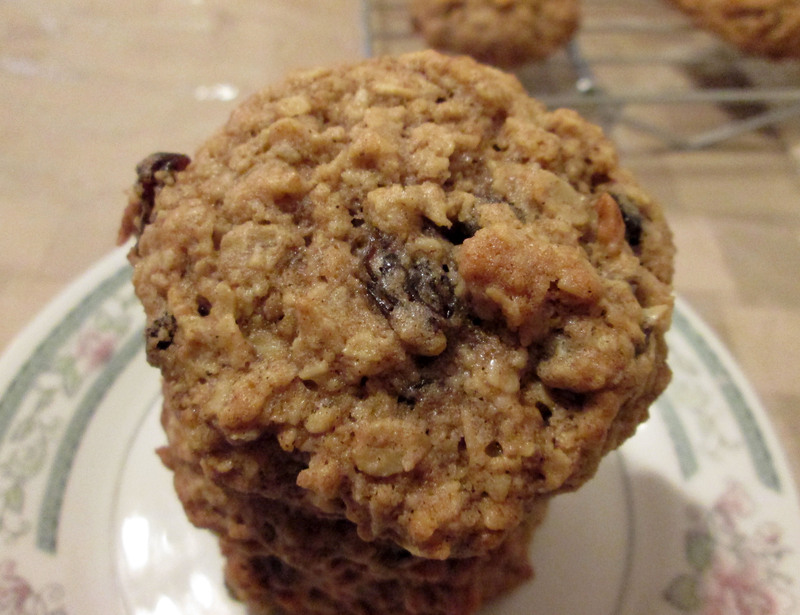 You can portion out your cookies with two spoons, a piping bag, or attempt to use a disher, like I did. It went pretty well but after a few cookies, the meringue didn’t want to come out of the disher. I coaxed them out of the disher with a spatula and continued to portion them out. I topped mine with some sprinkles but it’s totally optional. Once all portioned out, place your baking sheet in the preheated oven for 1 1/2 – 2 hours. Yes, you read that right. This is by far, the hardest part of the recipe. I know it’s such a LONG TIME but the wait is worth it. 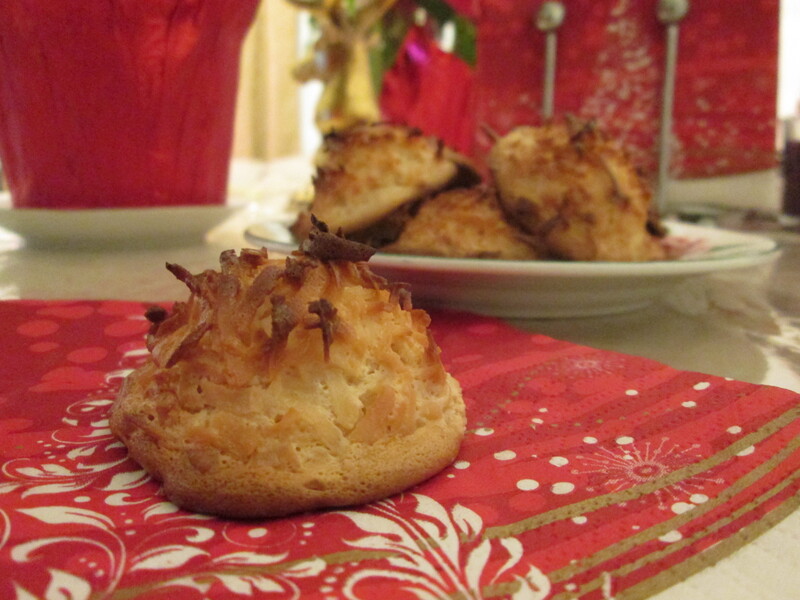 The oven’s low temperature gently coaxes out the meringues’ moisture, leaving a crunchy, melt in your mouth cookie. You’ll notice that the finished meringues’ shine has dulled and that they are super light in weight. That dull exterior is hiding a crunchy and sweet interior that tastes like vanilla flavored air. Weird description but I feel like meringues are what marshmallows would be if they ever got completely hard. 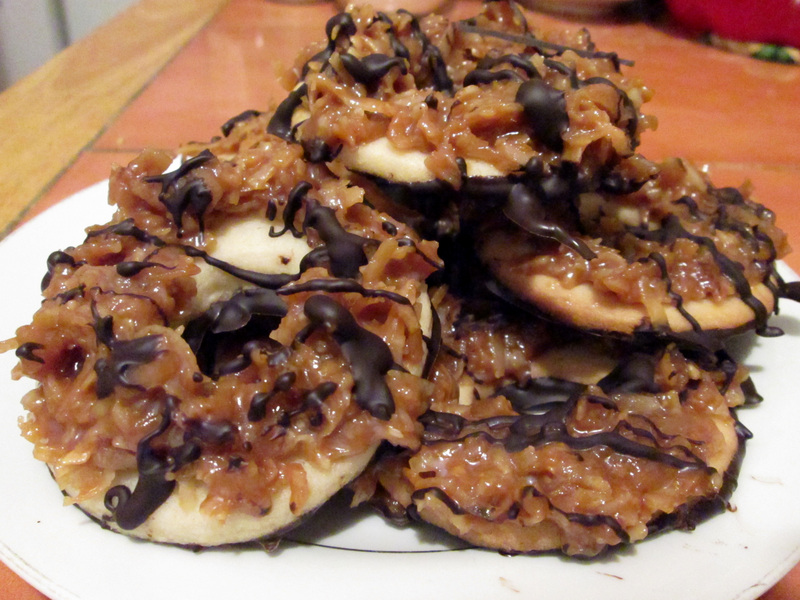 Now that I know how easy it is to make these, my favorite cookies won’t be out of reach anymore. 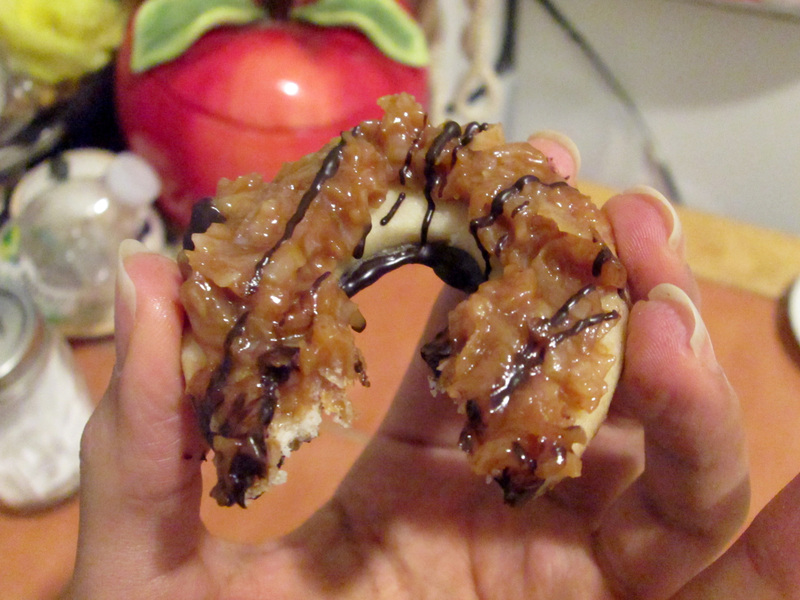 I can now experiment with different flavors and make as many or as little as I want! Preheat your oven to 225F. Line a baking sheet with parchment paper. Place your oven racks in either the lower or upper thirds of the oven (for multiple sheets) or in the center of the oven (for one sheet). In a dry, clean, medium sized mixing bowl, beat the whites and cream of tartar with an electric mixer until foamy and can form soft peaks. Gradually add the sugar, by the tablespoon, waiting about 10 seconds before adding another spoonful. Continue beating until all the sugar has been incorporated and the whites are stiff and glossy. Add the vanilla (or other flavorings) and beat to incorporate. 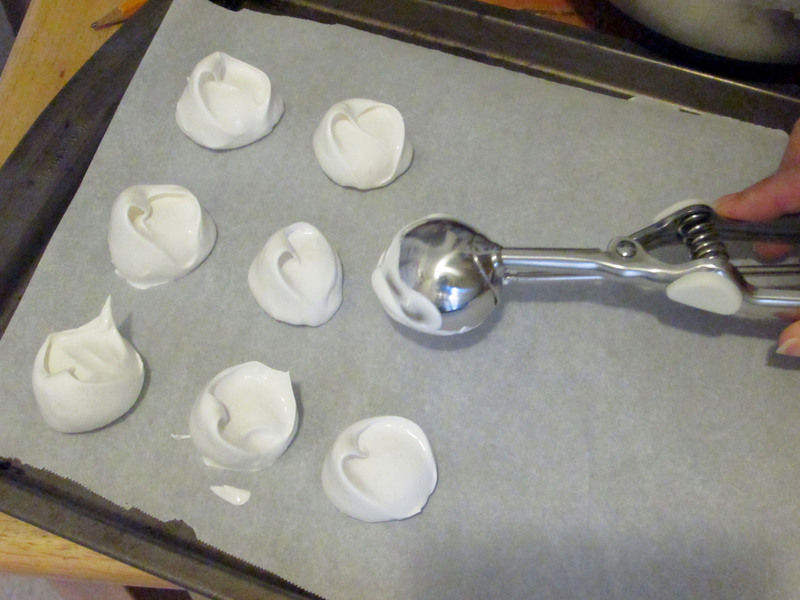 Drop the meringues onto the prepared sheet either with a piping bag, a set of spoons, or a disher. Bake your meringues for 1 1/2 – 2 hours, rotating the pan(s) halfway through baking. Turn the oven off and cool the meringues inside the oven until completely cool. Meringues should come off the parchment cleanly. Place in an airtight container to prevent softening. Egg whites are best separated cold but whip better when warm. Separate your eggs straight out of the fridge but leave them on the counter for an hour or so, until it’s room temp. In a hurry? Place your cold whites in an airtight container and sit the container in a bowl with warm water. Swirl the container in the water for a couple minutes or until the whites no longer feel cold. I am not a big fan of making cookies. I love eating cookies but making them has always been a chore to me. I don’t know, but there’s something about the process being longer than the actual baking times that has always messed me up. That, and my adversity to butter didn’t really help. 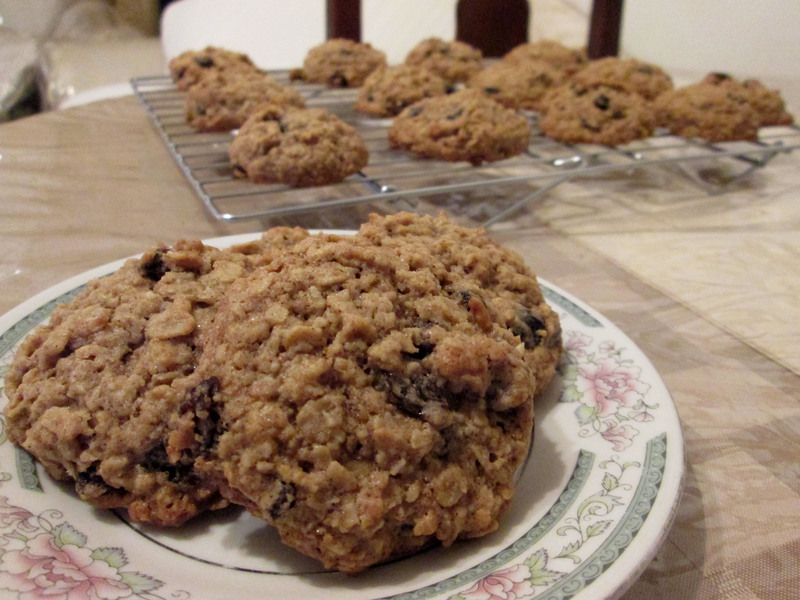 Now, this blog is no stranger to cookies; which I have maybe forced myself to make. Not only do I love cookies, but my family are cookie heads (is that even a term? It is now). My dad, who seems to have somewhat of a fierce sweet tooth (just not as fierce as mine) loves to have something sweet with his coffee. When it isn’t a muffin, he looks to cookies. I get on his case ALL THE TIME because he likes to buy cookies. Not just any cookies, but supermarket cookies that are dry, flavorless, and maybe even stale. I shudder at the thought, to be honest. Like, why would he buy cookies when he could ask me to make them? 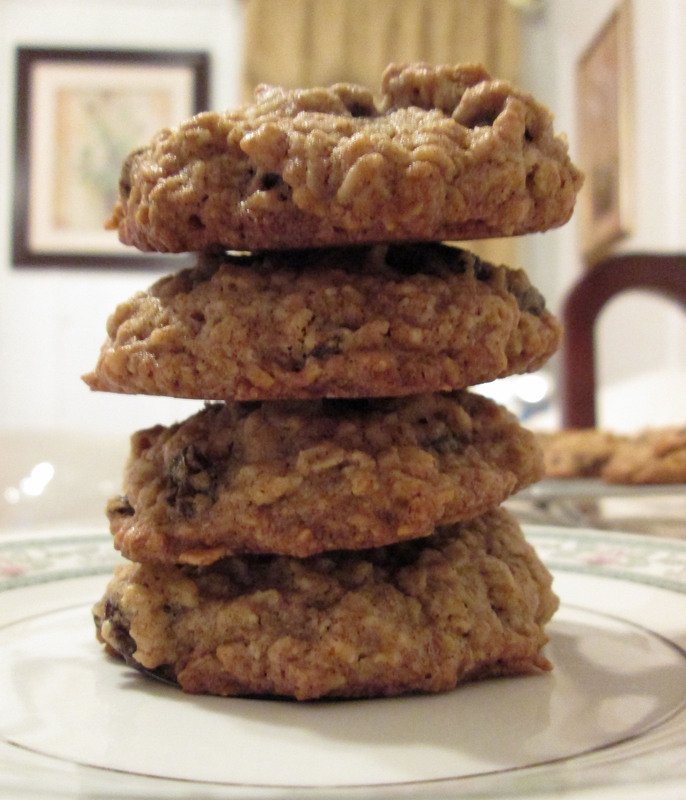 I bet I’d like making cookies if I made them more often and that’s what sparked this recipe/post. My sister was the one that actually nagged me about making these. She’s no stranger to nagging, and I’m sort of immune to it at this point but what can I say? I’m a people pleaser. We went to Trader Joe’s a while back and I picked up a bag of their semi-sweet chocolate chips. Have I told y’all how much I love Trader Joe’s? I love the fact that everything in there is affordable and of really good quality; its chocolate is no exception. 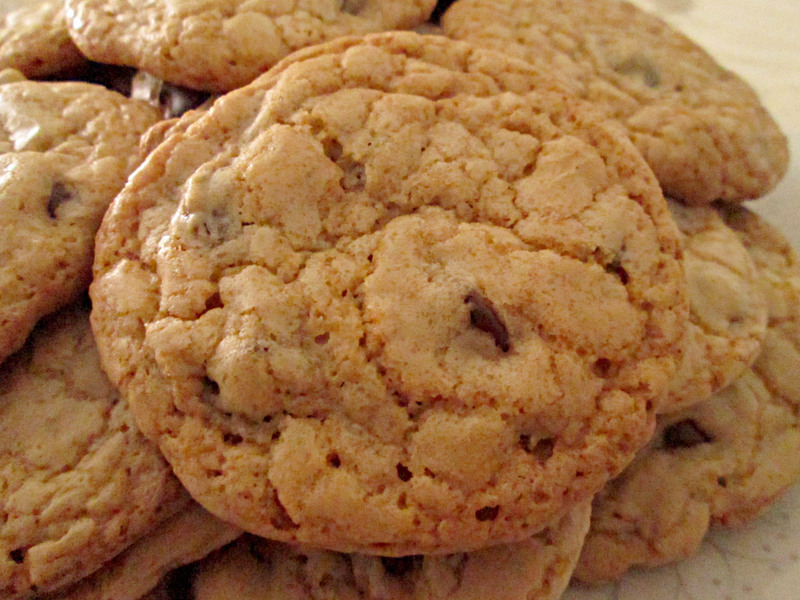 These chocolate chips were pretty huge but they are really good, and even better in these cookies. 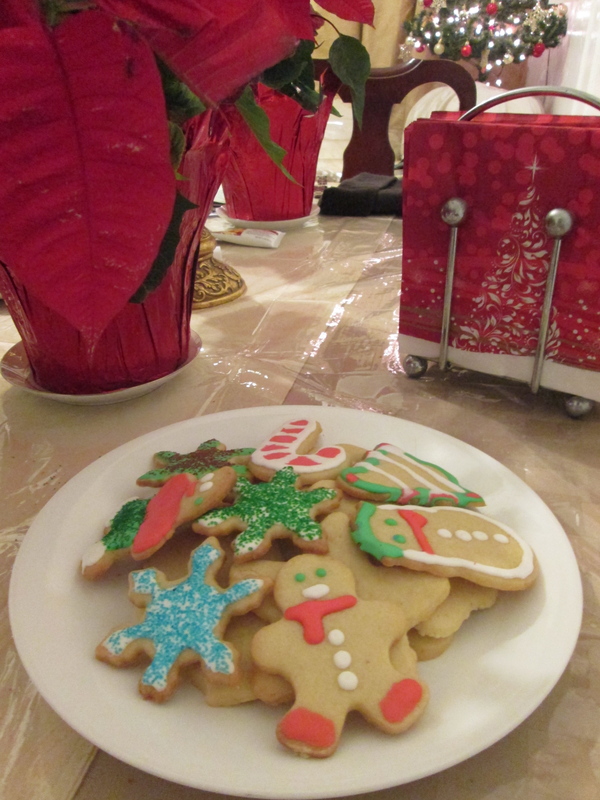 Anyway, these cookies. 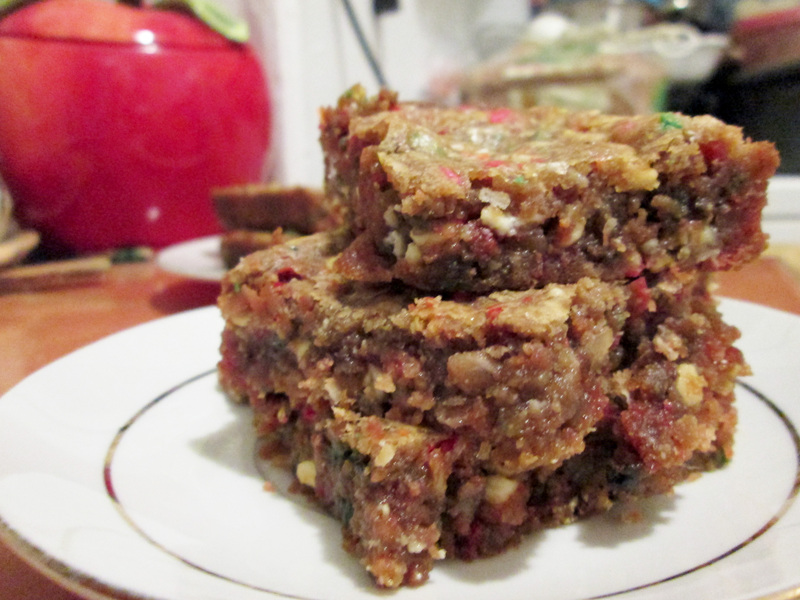 I wanted a recipe that was chewy but also has some structure. Way way back, when I was young, naive, and did not do the groceries, my favorite chocolate chip cookies were those Keebler SoftBatch cookies. I barely ate them but when I did, it was an experience. To me, they were top notch. How can a packaged cookie be this good, I’d think to myself. 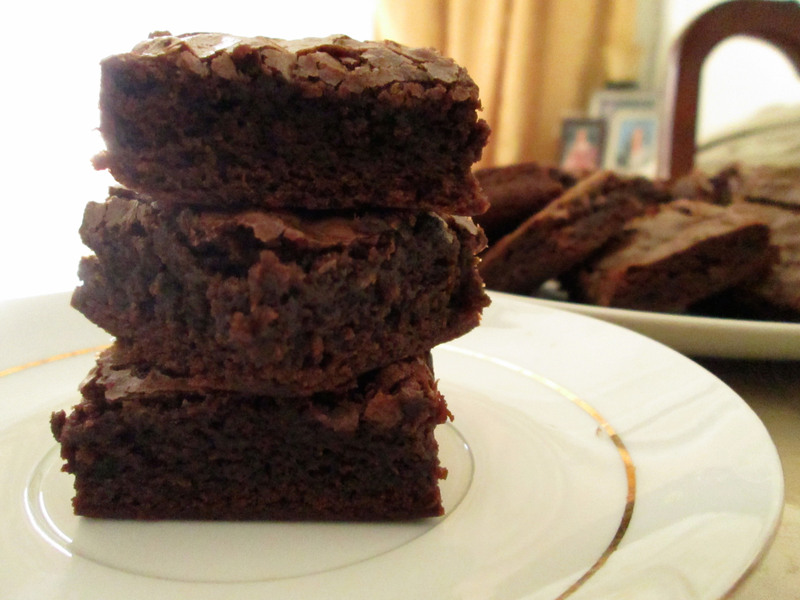 So chewy, soft and plenty of chocolate chips; it was heaven (again, I was young and naive. Forgive me). 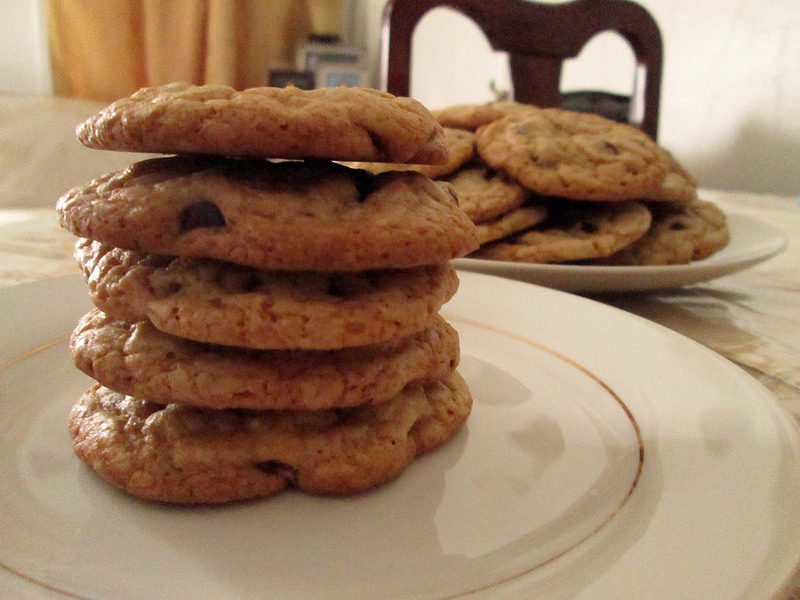 I wasn’t aiming for cookies like those exactly but I wanted the ~experience~ with whichever recipe I chose. Preheat the oven to 325°F and line baking sheets with parchment paper. Beat in the vanilla, egg, and egg yolk until light and creamy. Add in the sifted ingredients until just blended. Stir in the chocolate chips by hand using a wooden spoon or rubber spatula. Drop cookie dough using a cookie scoop or two spoons onto the prepared cookie sheets. Cookies should be about 3 inches apart. 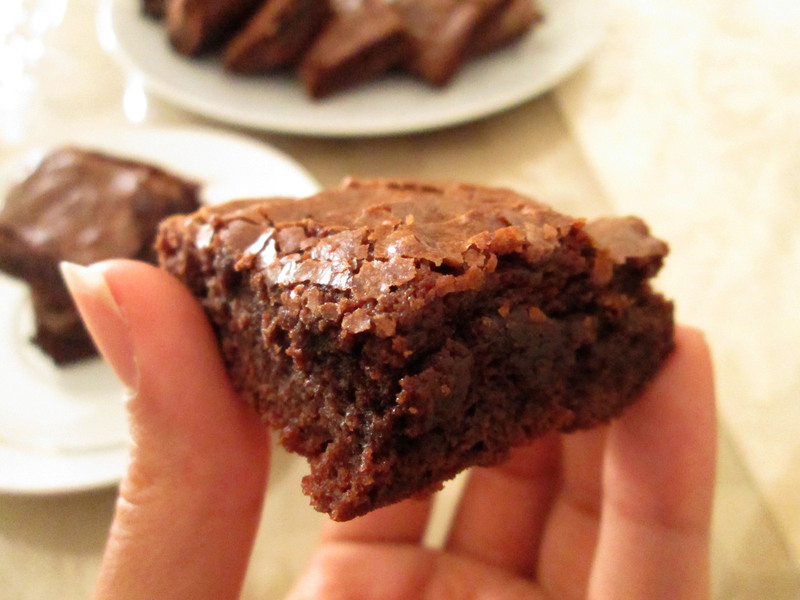 Bake cookies for about 15 to 17 minutes, or until edges are lightly toasted. Watch them as baking times will vary by size or preference. Cool on baking sheets for a few minutes before transferring to wire racks to cool completely. 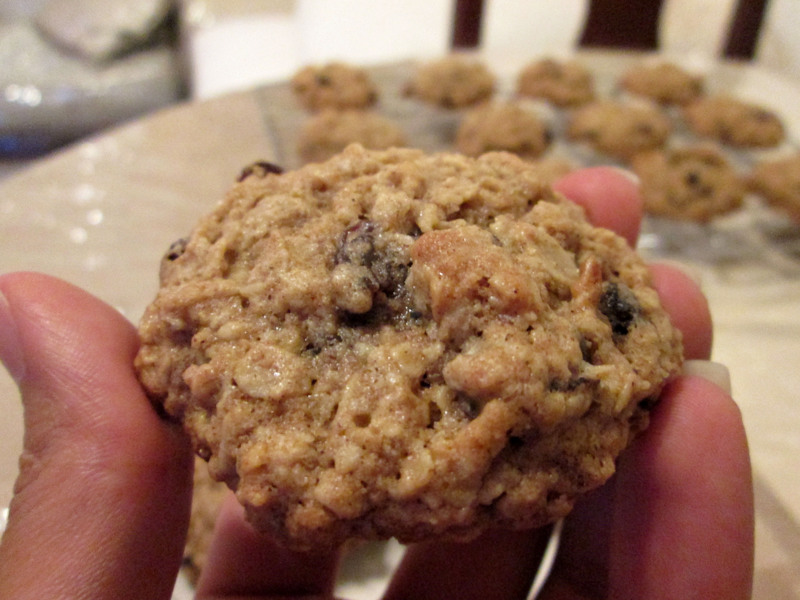 I used a #50 cookie scoop and got 32 cookies about 3 1/2″ in diameter. Cookie amounts will vary depending on the size of your scoop. Refrigerating the dough for several minutes produced cookies that were slightly darker in appearance. No change in taste, but worth noting. These babies are best when warm but are still awesome cold. I think they’d be even better with some ice cream! 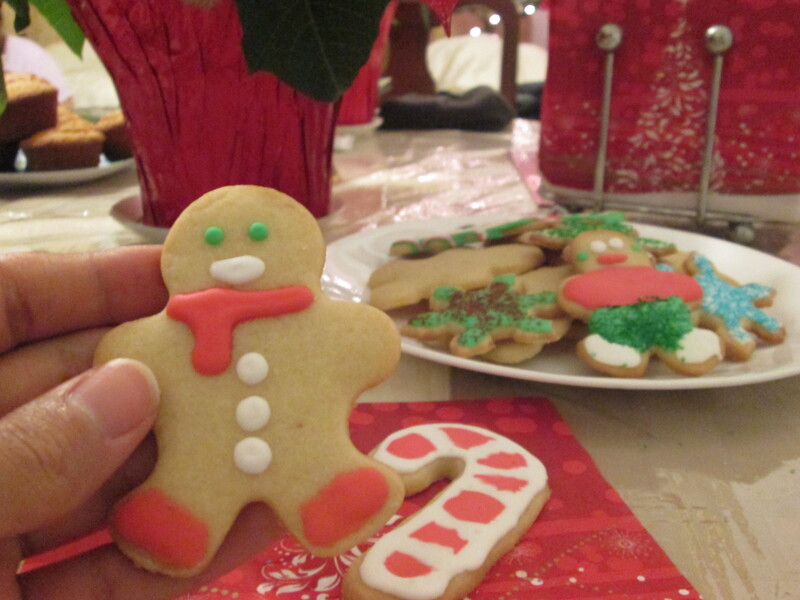 Gingerbread cookies are definitely my favorite Christmas cookie. I remember my mom used to buy us those boxes of Little Debbie Gingerbread Men when my sister and I were kids. They were my very favorite, besides the Oatmeal Creme Pies. The box used to bring about eight, and my sister and I would tear into those gingies within minutes. They were always pillowy soft, sweet, and just a tad spicy. 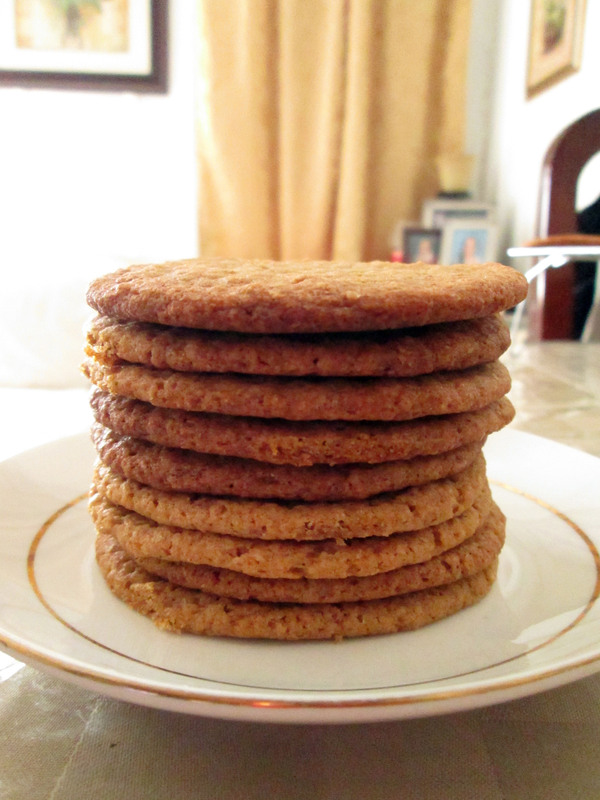 After enjoying those cookies for years, I wanted to learn how to make them. I started trying to bake cookies ever since I started baking. I always failed because of my fear of butter. 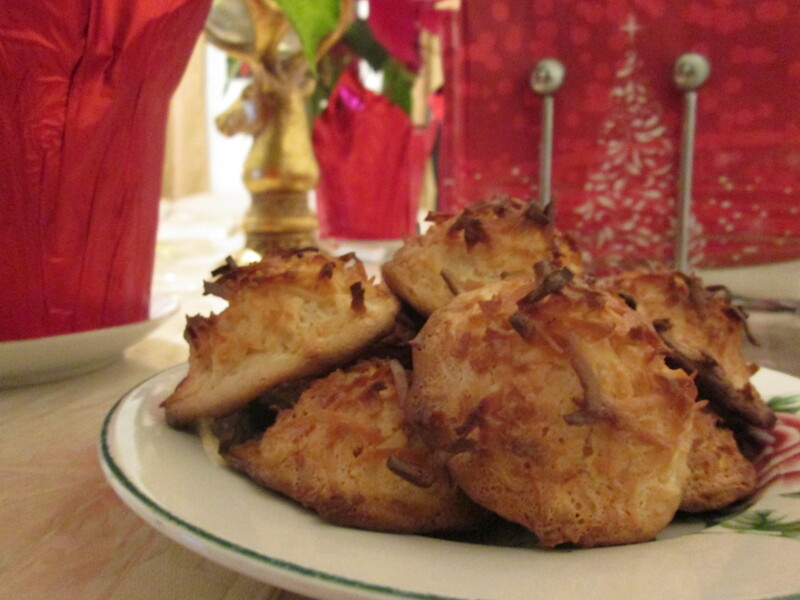 Since allowing the sticks of golden, and sweet fat into my life, cookies have gotten easier. 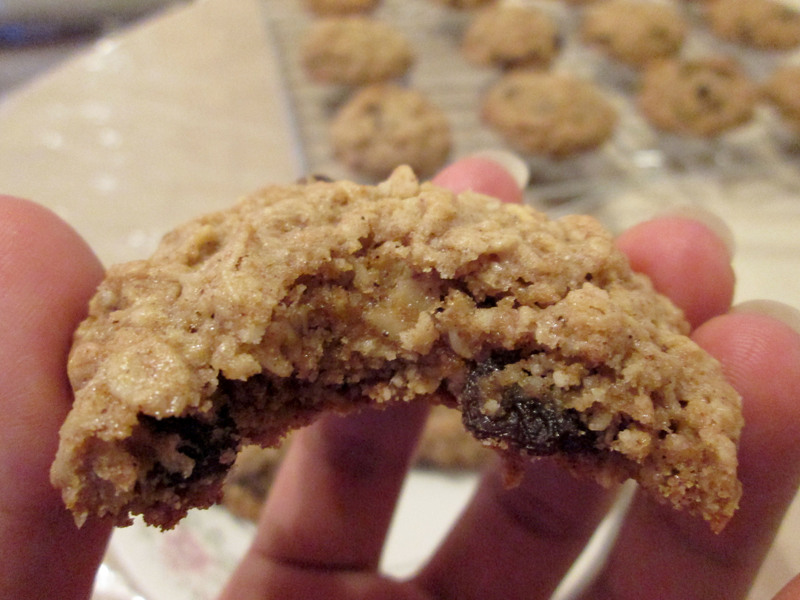 However, I made a lot of cookie rookie mistakes and learned some lessons along the way. Butter is of the utmost importance. Like I mentioned in my sugar cookies post, I didn’t use butter to bake because I was used to using vegetable oil spread, aka margarine, in my cakes. I learned the error of my ways soon enough. Butter is crucial for cookies to even happen. Unsalted unless specified in the recipe, please. If you can, use the best quality too, as it definitely makes a difference. The refrigerator is your best friend. Ideally, dough is supposed to chill before rolling out, cutting and baking. All cookie recipes require this, except for some drop cookie recipes. The longer it chills, the easier it will be to handle. It will also give the ingredients a chance to develop a deeper, more delicious flavor. The freezer is also your new BFF if your dough softens on you. Dough that has gotten too soft can be popped in the freezer for a couple minutes to harden up for easier handling. It also helps to pop in your cutouts before baking, to ensure they keep their shape. I can’t tell you how much the freezer has saved me in a moment of cookie despair. Read the ENTIRE recipe before beginning. I feel embarrassed even typing this one out. This shouldn’t even be here, but sometimes we I forget. 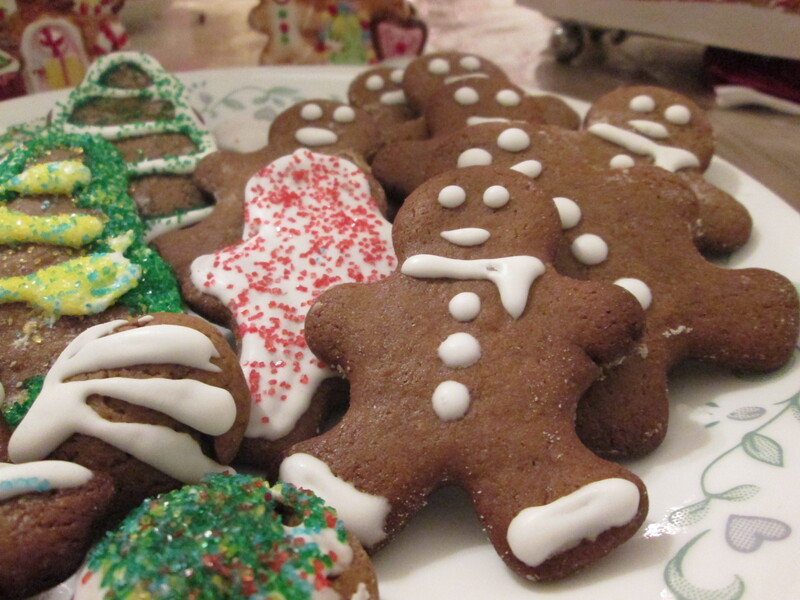 I chose Martha Stewart’s Gingerbread Cookies recipe because, well it’s Martha. I only read through the ingredients because I needed to know how much molasses I was going to need. I made a quick run to the supermarket to replenish my stock, and then skimmed the recipe. If I had read the recipe in its entirety before beginning, I would not have needed to be saved by the freezer, and the process would’ve gone a lot smoother. Do as I say, folks and not as I do; it’s a timesaver. Keep a ruler on standby. I try my hardest when I’m rolling out any sort of dough to stay consistent with thickness. I have issues every time but a ruler helps. 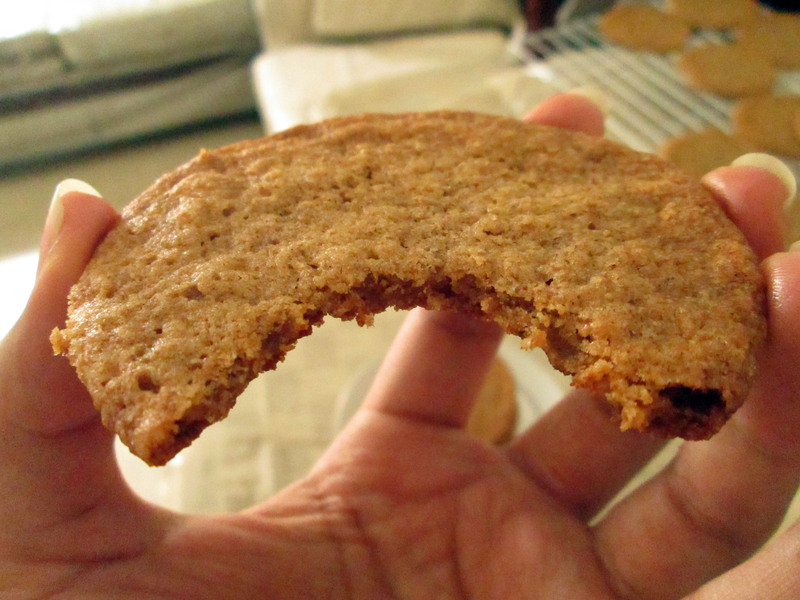 Even with the assistance of a ruler, I sometimes end up with cookies that are too thin. Make sure that the dough is the same thickness all around. Always have essential tools nearby. For cutouts, my essentials are: the cutters, a bowl of flour for dipping the cookie cutters, a rolling pin, a small spatula (offset works too), a bench scraper, a rubber spatula, parchment paper, plastic wrap, and the cookie sheets. I also keep a ceramic plate in the freezer on standby, in case I need to chill a hunk of dough between roll outs. I also have a rolling mat because I don’t have a clean, flat surface or counter to roll stuff on. Having all this stuff nearby helps because there is minimal movement and the cutout process will go by quicker. 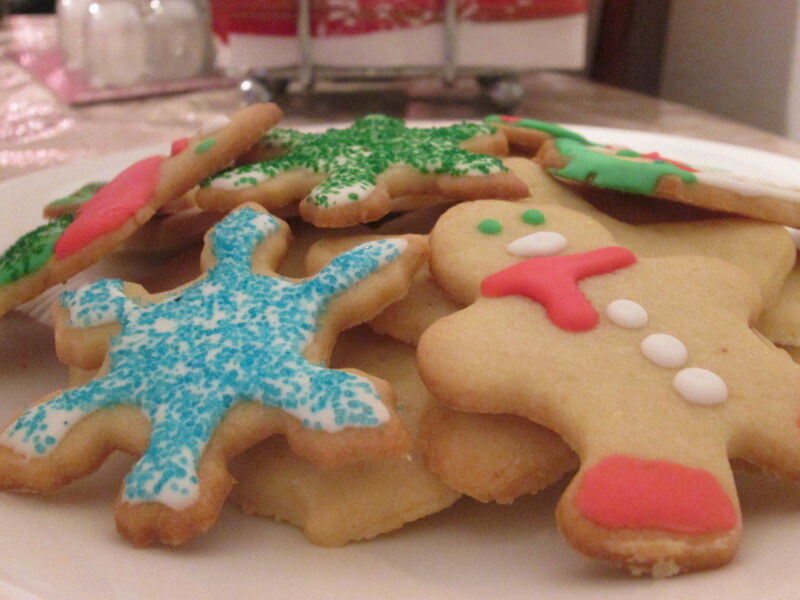 With all these tips in mind, your cookie cutting process should go by a bit smoother. These gingies came out great, despite the bit of trouble I had with the dough. 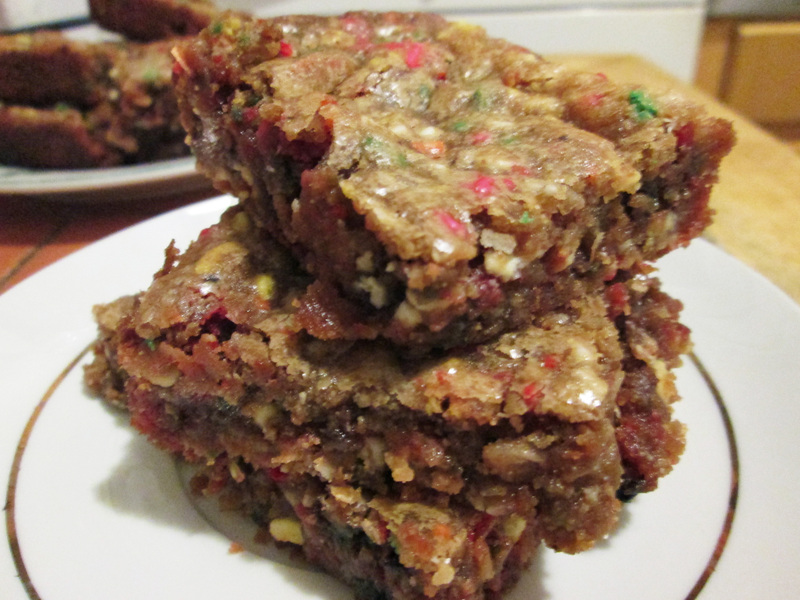 I played around with the recipe a bit, and got deliciously spicy cookies. It’s a subtle spice at first but the ginger kicks in towards the end, in the back of your throat. 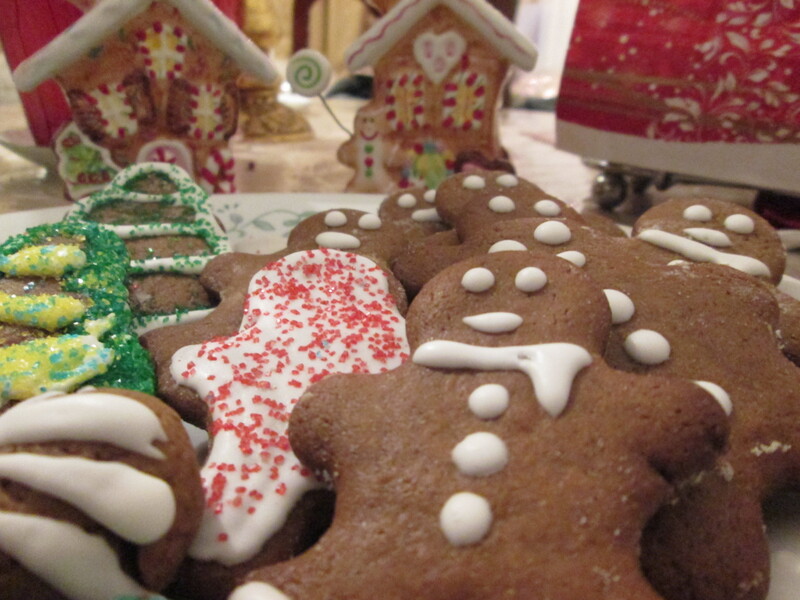 It’s a nice surprise that reminds you that you’re eating a gingerbread cookie. 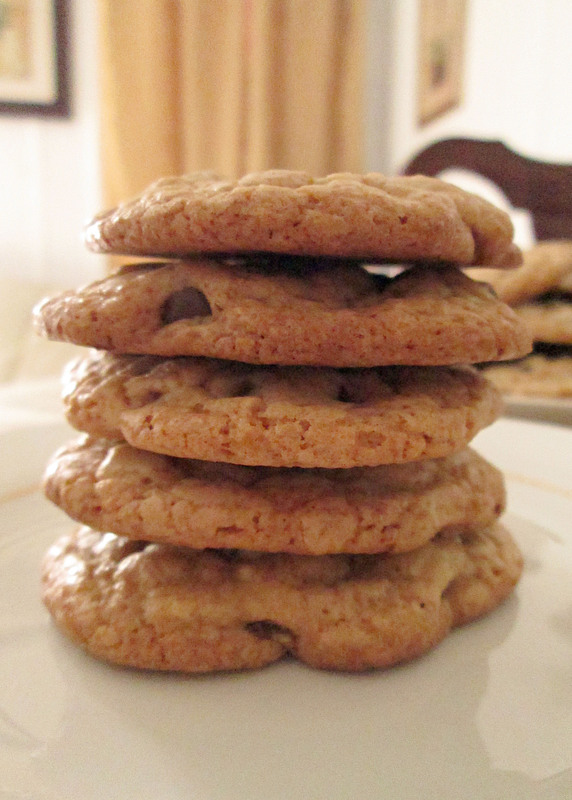 The cookies can be soft or crunchy, depending on how thick they’re rolled out. 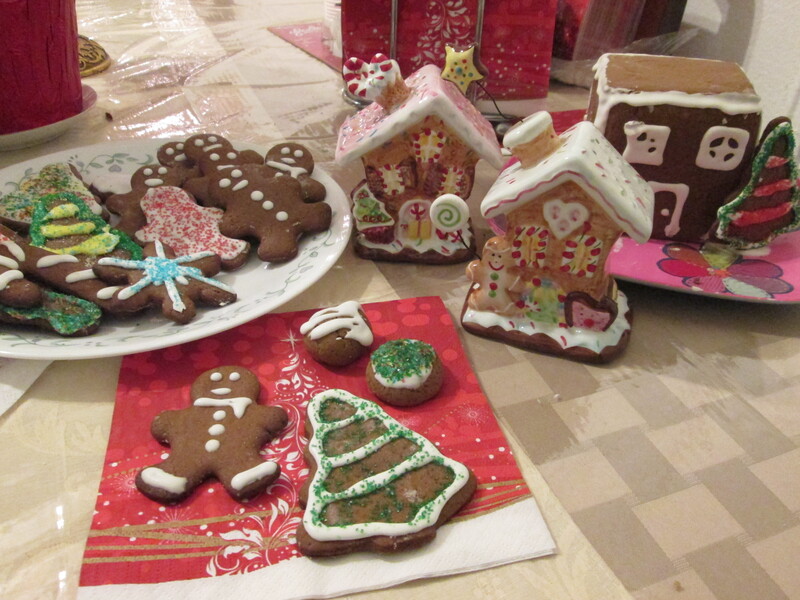 I also made a rather feeble attempt at a gingerbread house. It looks more like a tenement, to be completely honest. I’ll probably do more planning to produce a well structured house next year. Bake until firm and edges just begin to darken, 10 to 18 minutes, depending on size. Cool completely on baking sheets before decorating with Royal Icing. If you neglected to read the recipe in full, like I did, you can still make this dough workable. Pop it in the freezer for 10 minutes prior to rolling out. Keep plenty of flour on hand to flour the rolling surface, rolling pin, and cookie cutters. I only had extra large eggs on hand, so I beat the egg in a small bowl and removed about a tablespoon’s worth before incorporating into the batter. Don’t have dark brown sugar? Increase the molasses to about a 1/2 cup. Alternatively, you can make your own dark brown sugar by blending molasses into your light brown sugar or white sugar in a food processor. Add in the molasses in tablespoons, until it reaches the desired color.